The Menendez brothers were convicted of killing their wealthy parents. 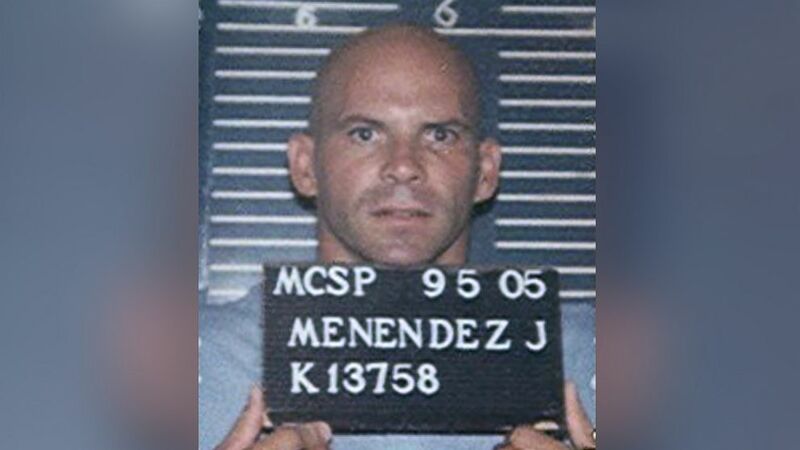 Lyle Menendez has spent the past 27 years in prison, where he is expected to remain for the rest of his life. But in many ways he feels happier there, "more at peace," he said, than on the outside. "It’s shocking to think … that I could have been involved in taking anyone’s life -- and my parents’ life… it seems unimaginable because it seems so far removed from who I am," Menendez told ABC News during a recent phone interview from Mule Creek State Prison in Ione, California. "But I found that my own childhood prepared me surprisingly well for the chaos of prison life." Watch the full story in the two-hour ABC News special, "Truth and Lies: The Menendez Brothers," on Jan. 5 at 9 p.m. on ABC. (California Department of Corrections and Rehabilitation) Lyle Menendez appears in this 2005 mugshot. On Aug. 20, 1989, Lyle Menendez, then 21, and his brother Erik Menendez, then 18, opened fire on their wealthy parents inside the family’s Beverly Hills mansion, using shotguns they had bought just days before the murders. Their father, Jose Menendez, was a successful Cuban-American business executive and had been shot point-blank in the head. Their mother, Mary "Kitty" Menendez, a homemaker and a socialite, had been shot several times in her torso and face, leaving her unrecognizable. Both had been shot in the kneecap, which authorities argued was the brothers’ attempt to make it look like a mob hit. "I am the kid that did kill his parents, and no river of tears has changed that and no amount of regret has changed it," Lyle Menendez told ABC News. "I accept that. You are often defined by a few moments of your life, but that’s not who you are in your life, you know. Your life is your totality of it… You can’t change it. You just, you’re stuck with the decisions you made." Authorities arrested the brothers in March 1990 after their psychologist’s girlfriend went to police claiming Erik had confessed the murders to the psychologist during a session and Lyle had threatened the doctor’s life, thus voiding doctor-patient privilege. 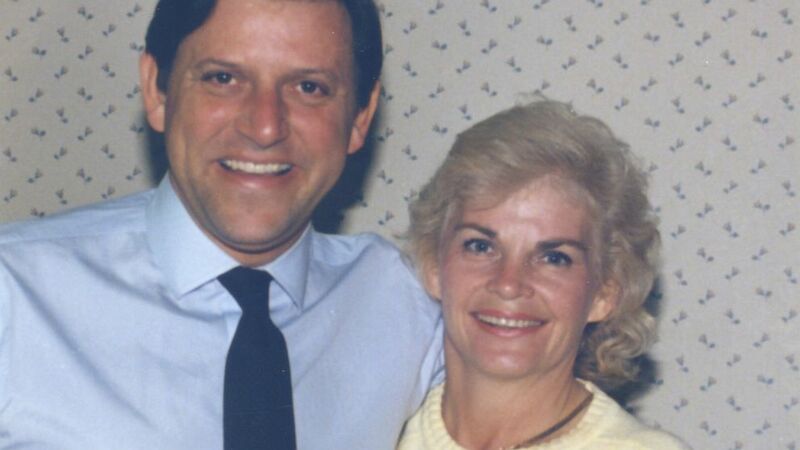 "I was just living in the wake of what had happened," Lyle Menendez, 48, told ABC News. "Now you have secrets upon secrets. I was just trapped in the same nightmare of these things that I obviously cannot tell anyone about. "You’re not living in the reality of what has occurred and why it occurred with anyone in your life," he continued. "Emotionally you’re a ghost. You’re just living like a ghost among people that are alive." The Menendez brothers’ murder trial was one of the most notorious and publicized cases of the ‘90s. Millions of Americans tuned in as the trial was broadcasted live on CourtTV. (Courtesy Brian Anderson) Jose and Kitty Menendez are seen here in this undated family photo. Prosecutors alleged that the brothers, who lived a life of privilege, murdered their parents out of greed, hoping to get their hands on the family fortune, while the defense argued the brothers’ acted in self-defense after years enduring their parents’ abuse. "My own father, he was a person of means and stature, and my mother was sort of a socialite-type person, a country club type person," Lyle told ABC News. "No one’s going to intervene in how they raise their family." Erik testified that he and his brother lived in fear of their father, who they claimed had sexually abused him. Erik said he had been abused for many years and that the brothers believed their father would have killed them to prevent the family secret from getting out. They testified that their mother knew what their father was doing and did nothing to stop it. "Very quickly as you get older… each secret gets closeted away, each traumatic experience you just closet it away," Lyle Menendez told ABC News. "Because that’s the only way you can sort of survive it." Lyle claimed that the shared experiences of alleged abuse by their father bonded him and his brother "through secrets." "It’s so painful and complicated and confusing," he said. "We have an intimacy related to that shared experience… [and] the bond become very great and intense." "I’m the older brother so I find myself trying to protect Erik quite a bit through childhood, but pretty much trying to survive," Lyle continued. "It was pretty crushing to in the end to realize that I had not been able to protect to or save him from such horrible abuse as I thought. I thought we had sort of survived early childhood pretty well and that turned out not to be true." Kitty Menendez's brother Brian Anderson denied his nephews' claims that they were abused at home. "There was certainly no indication of any kind that there was ever any abuse," Anderson told ABC News in a recent interview. "It just didn’t happen. It just didn’t happen. I think the motive was strictly money." (ABC News) Erik (left) and Lyle (right) Menendez are shown here during a 1996 interview with ABC's Barbara Walters. The initial trial ended on Jan. 13, 1994 in a mistrial. Jurors were deadlocked with some believing the brothers should be convicted of manslaughter because of the abuse they alleged, while others, who believed the brothers had committed the crime for money, voted for first-degree murder. At the second trial in 1995, in which TV cameras were not permitted inside the courtroom, the judge ruled that the defense’s evidence regarding the brothers’ alleged abuse by their parents, including testimony from dozens of family members, was not allowed. The judge also decided not to give jurors the choice to vote on a manslaughter conviction. 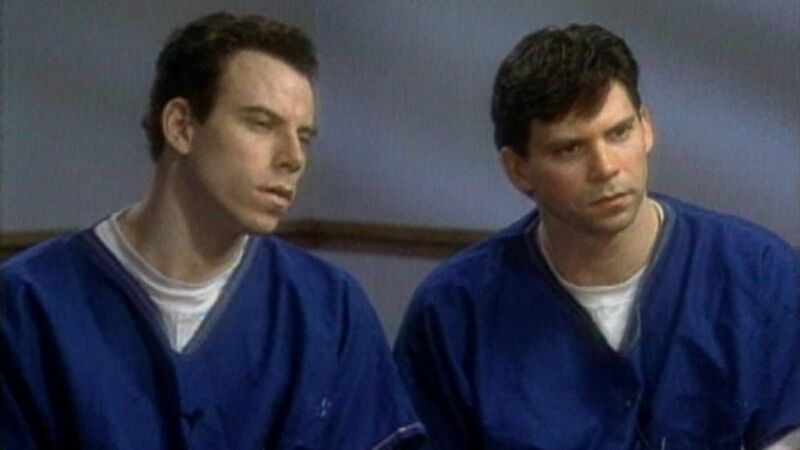 The Menendez brothers were convicted of first-degree murder on March 20, 1996, and sentenced to two consecutive life prison terms without the possibility of parole. Over the next decade, they appealed their case up to the U.S. 9th Circuit Court of Appeals but were denied each time. Today, Lyle said he has "accepted" his prison sentence and spends his days focused on keeping a good quality of life behind bars. "I’m very different than I was as a late teen, simply by way of the fact that just a huge weight off my shoulders having gone through this trial, having been able to talk about what happened in my family," Lyle said. "I don’t live for the future now. I just sort of—I just take each day, short-term goals." Erik Menendez, now 46, declined to be interviewed for this ABC News report, but told ABC’s Barbara Walters in a 1996 interview that he felt "tremendous remorse" for the slayings. At the time he said, "There's not a day that goes by that I don't think about what happened and wish I could take that moment back." 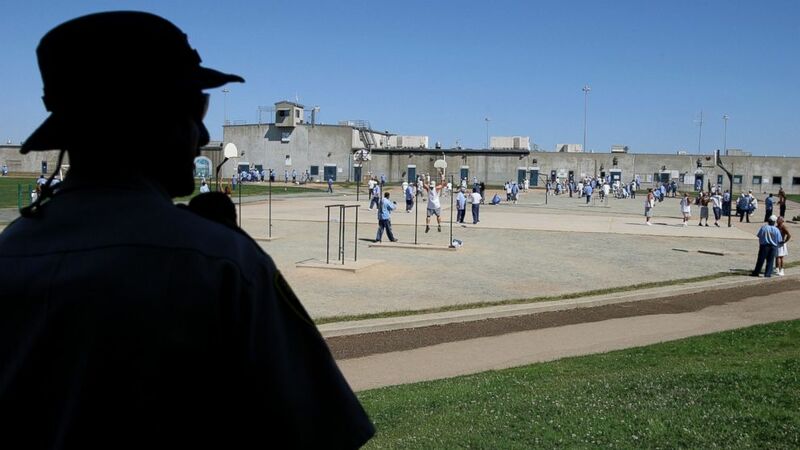 (Justin Sullivan/Getty Images) A California Department of Corrections officer looks on as inmates at the Mule Creek State Prison exercise in the yard August 28, 2007 in Ione, California. The two men were sent to different prisons after their conviction and haven’t seen each other in years, though they have communicated over letters and Lyle said their "bond is really strong." Lyle said his brother works with terminally ill and physically challenged inmates at the Pleasant Valley State Prison in Coalinga, California, where he is serving his sentence. "I really wondered, separated from me and so on, how would he do?" Lyle said. "It’s just amazing to me that you can come from such terrible circumstances and then be grow up to be someone who is so empathetic, so I’m very proud of him." Both brothers have gotten married while in prison. In 1999, Erik married Tammi Menendez, a pen pal he corresponded with for years. Lyle first married former model Anna Erickson in 1996, and then married his second wife Rebecca Sneed in 2003. Neither brother has children, though Tammi has a daughter named Talia from her first marriage. Under California law, conjugal visits are prohibited for those sentenced to life without parole. "One thing I've learned is that your physical comfort is much less important than your connection with the people around you," Lyle told ABC News. "I’ve found I can have a healthy marriage that is complicated and built around conversation and finding creative ways to communicate, sharing, without all the props that are normally there in marriage in terms of going out to dinner and having as much intimate time together and so on." Even after all these years, Lyle said he and his brother have "almost never talked about" the murders because it’s "just too overwhelming." "My life is a struggle [to] not to be defined by what happened," Lyle said. "I’m at peace with my life growing up. I’m at peace with it, because I’ve just sort of accepted [that] it’s okay not to understand."